Stylish soft touch charger with twin USB port for maximum speed and power. Allows for the charging of two devices simultaneously with a rapid charge (2.1A) of smart phones and tablets. 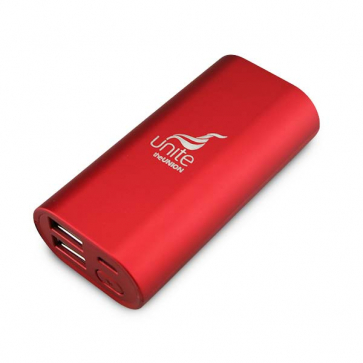 Power indicator shows remaining battery power in the unit and illuminates the Unite logo.